Does your current web site really perform the way it should? Is it very appealing to your visitors? Does it generate traffic from many search engines? Are you losing business to your competitors? 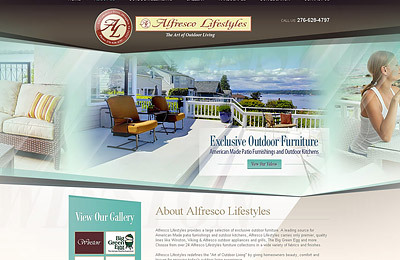 A professionally designed web site is critical to your online marketing strategy. Your web site is often the first interaction customers will have with your business. With the proper web design and content, your customers will perceive you to be the expert in your field, further giving you the competitive advantage you need. If your current web site needs a face-lift or you need it to perform better in search engines, a web site makeover is the right solution. Whether you need a new look, navigation structure, enhanced functionality or improved content, we can make it happen.